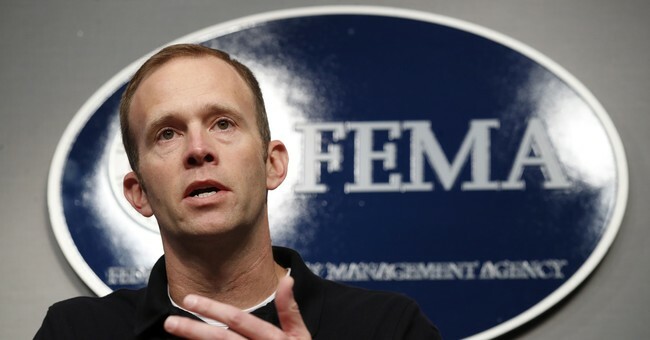 FEMA Administrator Brock Long has been a popular guest on news programs these days, with Hurricane Florence looming and set to make landfall in the United States. He briefed Americans from the White House this week on what to expect when the storm hits. Yet, media outlets also want to know why FEMA failed to act in Puerto Rico, which is still dealing with the devastating effects of Hurricane Maria. MSNBC's Andrea Mitchell began to lecture Long on his duties, which she claimed included a "federal responsibility" to fix infrastructure in the U.S. after a hurricane. He corrected her assumption. FEMA Director Brock Long wreks MSNBC's Andrea Mitchell live on-air when she said it's FEMA's "federal responsibility" to fix infrastructure after a hurricane. "No, you're actually wrong on that," Long quickly responded. "It's not a federal responsibility to keep the infrastructure. Actually most of the infrastructure is owned by the private sector. FEMA doesn't control the maintenance of the infrastructure." Long had to ask for "special authority" from Congress to act. "We don't own it," he insisted. Mitchell tried to clarify that "emergency rescue" is his federal responsibility. "That's the point I'm trying to make," she said. President Trump continues to insist that the U.S. response to Maria was an "unsung success." Critics are quick to note that nearly 3,000 people died in the storm.